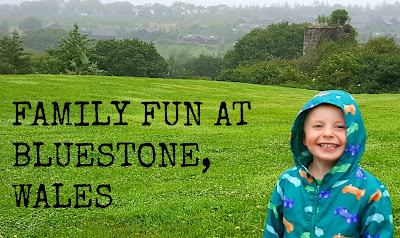 To find out what we got up to on our first day at Bluestone, see here but read on to see what else we did over our long weekend! 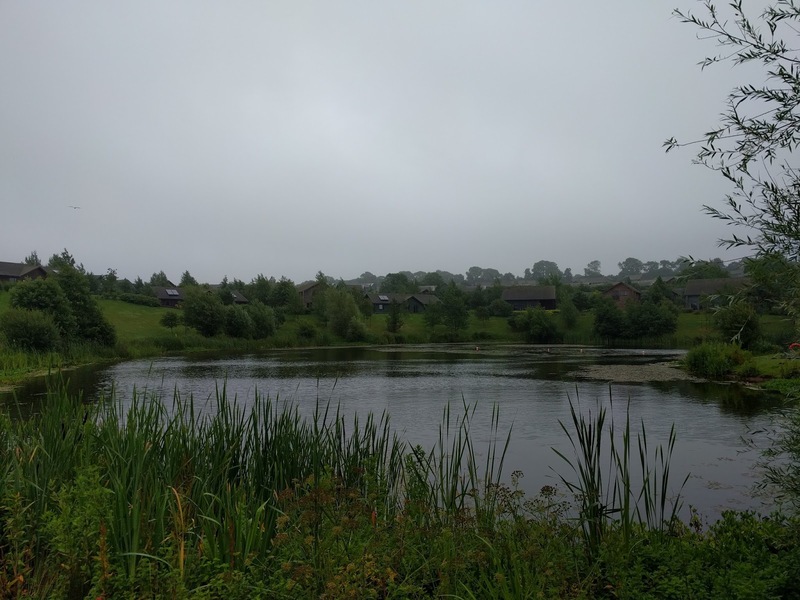 We woke up to heavy rain and strong wind....not quite the Summer break we were hoping for! 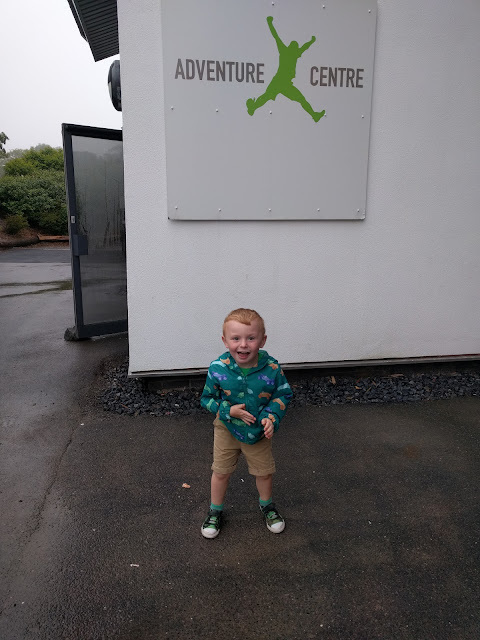 Fortunately I'd packed our raincoats so after breakfast we jumped in the golf buggy and headed up to the Adventure Centre for some indoor play fun. 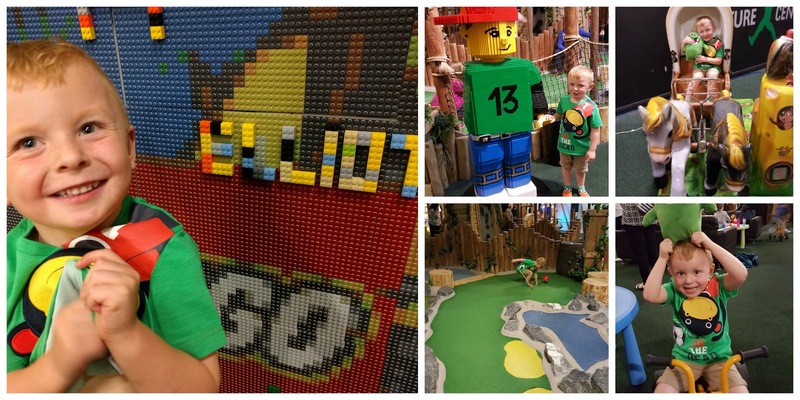 The Adventure Centre is a brilliant place for kids - there is mini golf, a bouncy castle, Lego wall, wooden climbing frames, soft play and even a high ropes course for the bigger ones! There is the Wildwood Cafe upstairs and plenty of comfy sofas and picnic tables so you can relax with a drink while the children play. Elliot couldn't wait to get going and headed straight for the climbing frames! There is also a small arcade section and Elliot was quick to spot the grabber machines! We never win on these but today was our lucky day, my husband won an Angry Bird pig on his first attempt - Elliot was SO excited!! Our tummies were beginning to rumble after all the playing (well, Kindle reading in my case!) 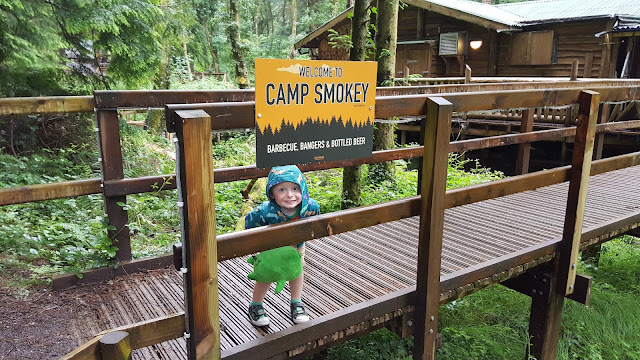 so we decided to brave the weather and head down to Camp Smokey. We never got round to visiting on our last trip and I'd heard really great things from other bloggers. You aren't able to take the golf buggy down to the camp so we parked up the top and followed the path which wound it's way down and through the steep forest. 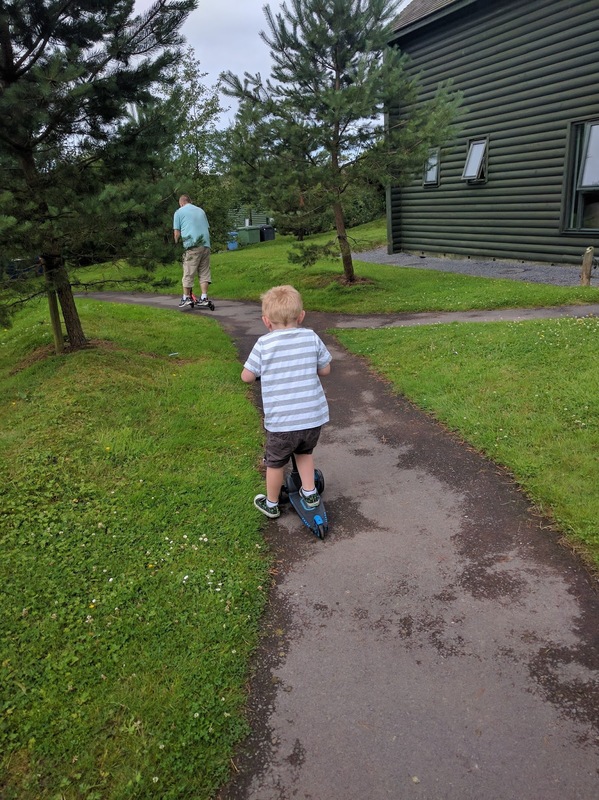 I was concerned the path would be muddy and slippery but the entire path is a boardwalk which is easily accessible for buggies and wheelchairs. You could also use the faster route and take the ziplines down! Camp Smokey is a wooden restaurant nestled in the woods and all the food is barbequed and rustic style. The menu isn't huge but the food is cooked as you wait and the smells - wow wow wow!! 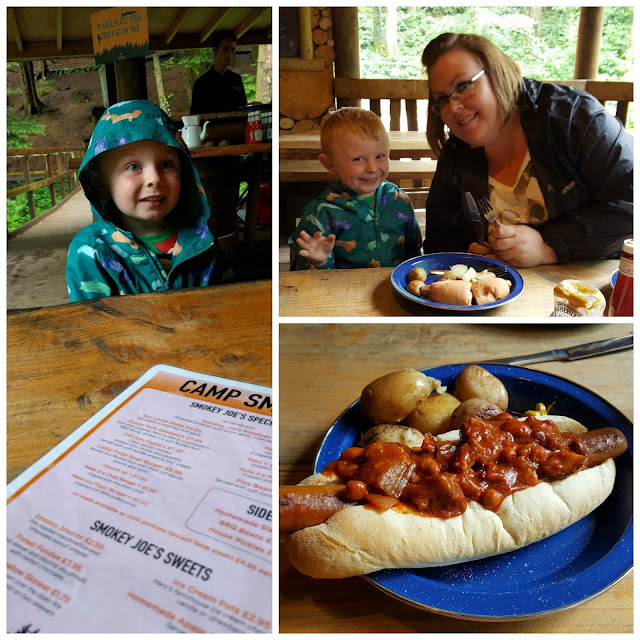 My husband had a chilli dog, I had chicken fajitas and Elliot had a kids hot dog - plus all the meals come with amazing roast potatoes that I'm still dreaming about now. I loved the atmosphere at Camp Smokey, it was so relaxed and it felt really cosy sitting under cover having our lunch while it was pouring down outside. 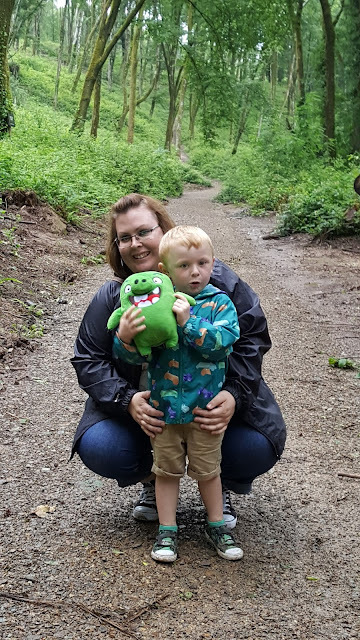 Rather than head back up the zig zag path to our buggy we decided to follow the nature trail through the woods. 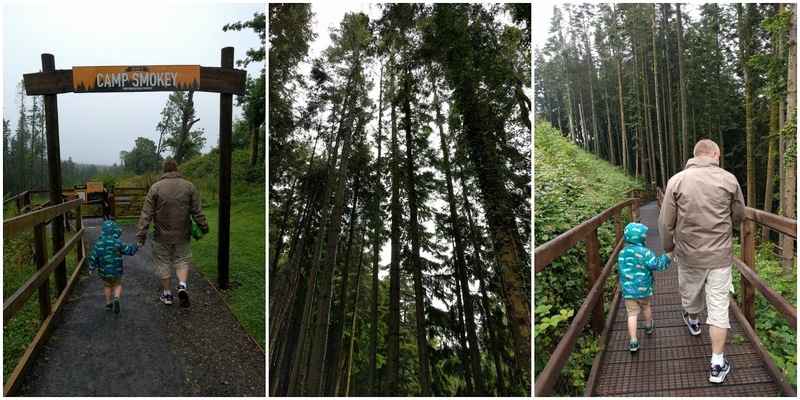 It was a bit steep and a bit muddy at times but it was a really fun walk through the trees and it was so peaceful, we hardly saw another person. Fortunately the rain stopped too! Our walk finished with a stroll around the beautiful lake where we saw lots of rabbits, ducks and various baby ducks - very cute! We were going to head over the pub for a quick drink but we stumbled across a big marquee in the middle of the village which was offering free children's entertainment. Despite lots of people walking around the village, the entertainment tent was dead quiet and there were only a couple more kids in there. 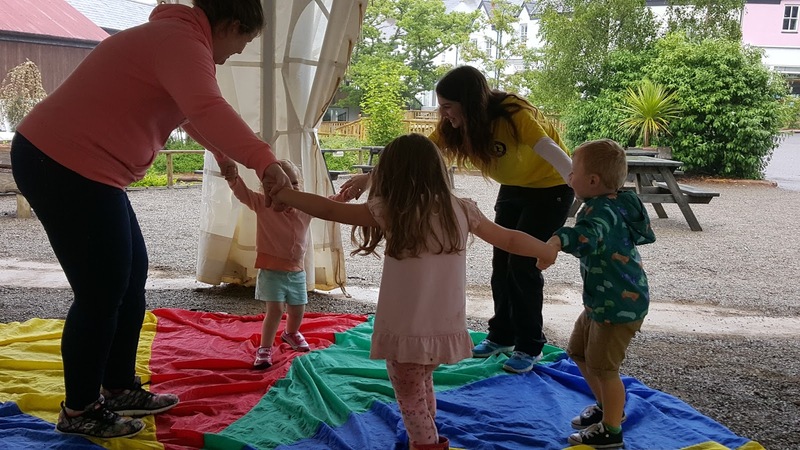 The children's entertainer was really sweet and really bubbly and enthusiastic with the children - they did some drawing, dancing, a treasure hunt and even pass the parcel! I had no idea that free entertainment was offered so I'd definitely recommend looking out for this if you're in the village. We were there an hour and Elliot really enjoyed it. 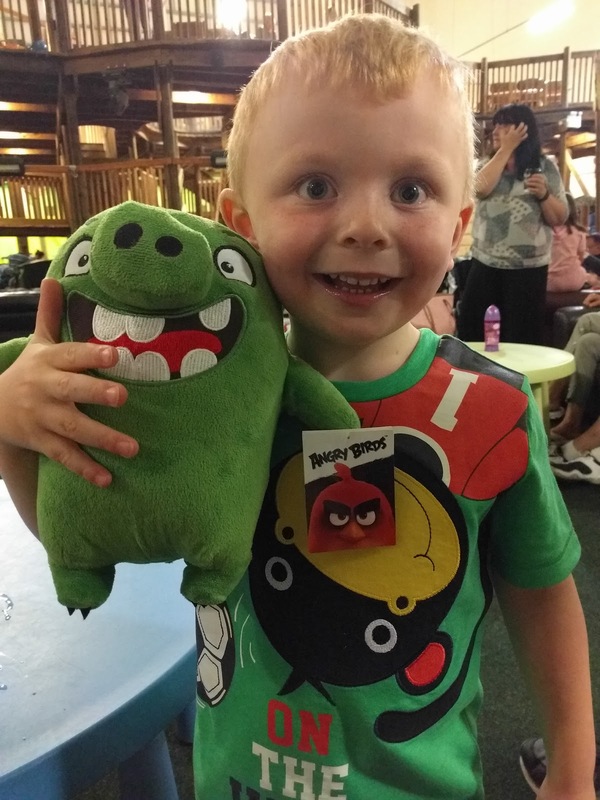 He especially enjoyed winning pass the parcel! We took a slow walk back up the hill to find our golf buggy and we made a quick tea back at the lodge. We were all quite tired after a busy day! 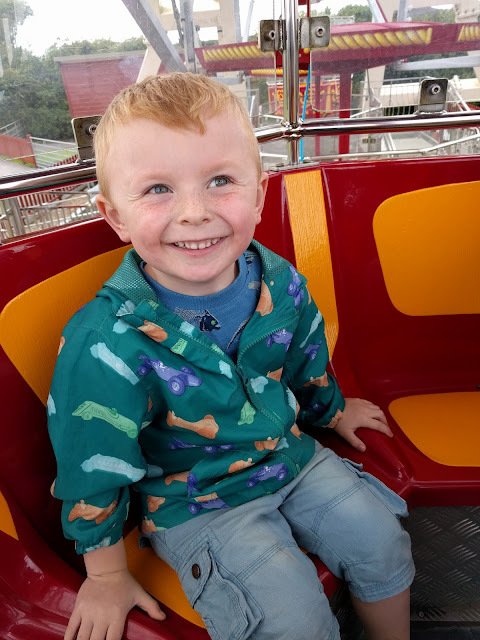 We woke up to another rainy day but we had an exciting day planned at Folly Farm which is located just a few miles down the road from Bluestone. We first visited last year and it's somewhere Elliot always talks about! We knew we'd have a pretty busy weekend but we wanted to try and squeeze in a day at Folly Farm, it's such an amazing place and it's not like we're in the area very often to visit. 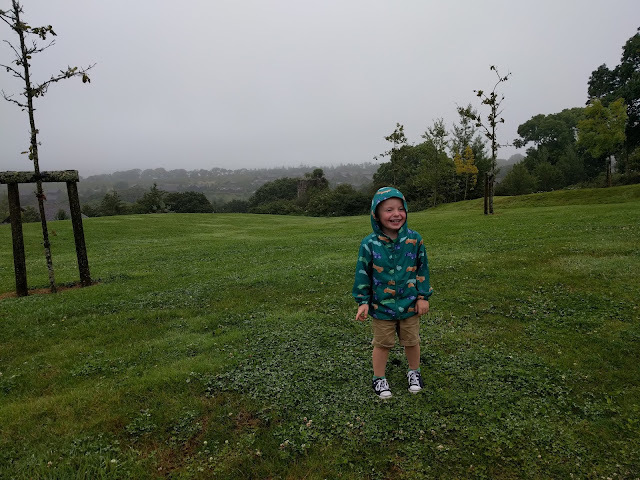 And the weather scuppered our plans for a day out on the beach at Tenby so we really had no excuse but to visit Folly Farm! We booked our tickets online the night before and were first in the queue when it opened at 10am...very keen ;) I won't write a big post about it but you can read my review from last year which contains lots of info and pics. 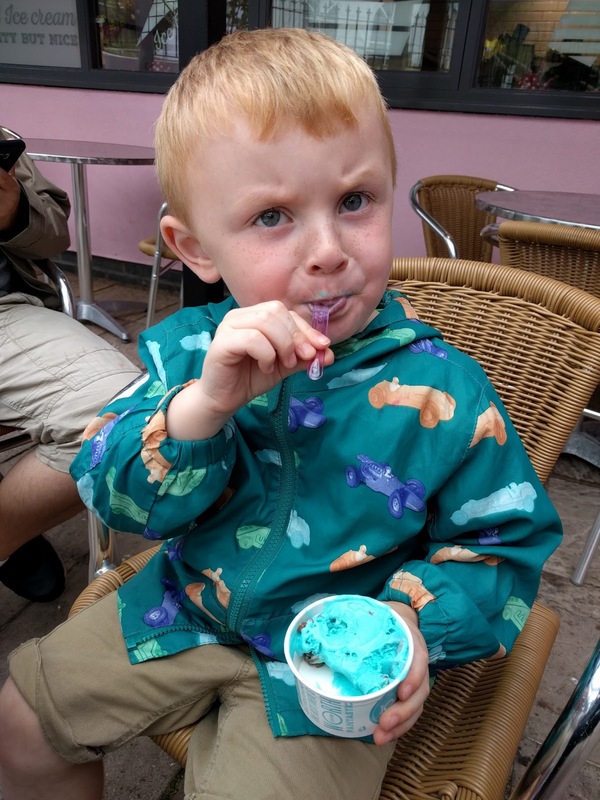 Needless to say we had a brilliant day out and Elliot really enjoyed himself! We got back to Bluestone around 5pm and were going to eat out in the village again but we were all tired again (must be all the fresh air!) so we tea back at the lodge. Cheese on toast - the tea of champions! Our last day :( Typically, the sun was shining when we woke up! Check out is 10am and so we had a bit of a mad rush getting everything packed. Why is it you always seem to go home with more than you came with?! Although you have to be out of your accommodation by 10am, you are able to use the facilities for the rest of the day so you can extend your holiday that little bit further. Elliot had a quick whizz around on his scooter but we decided to head on home as we had a 4 hour drive ahead of us. Pleased to report there were no vomiting instances on the way home - phew! We had a such a brilliant weekend at Bluestone and really wish we were able to stay for another week. 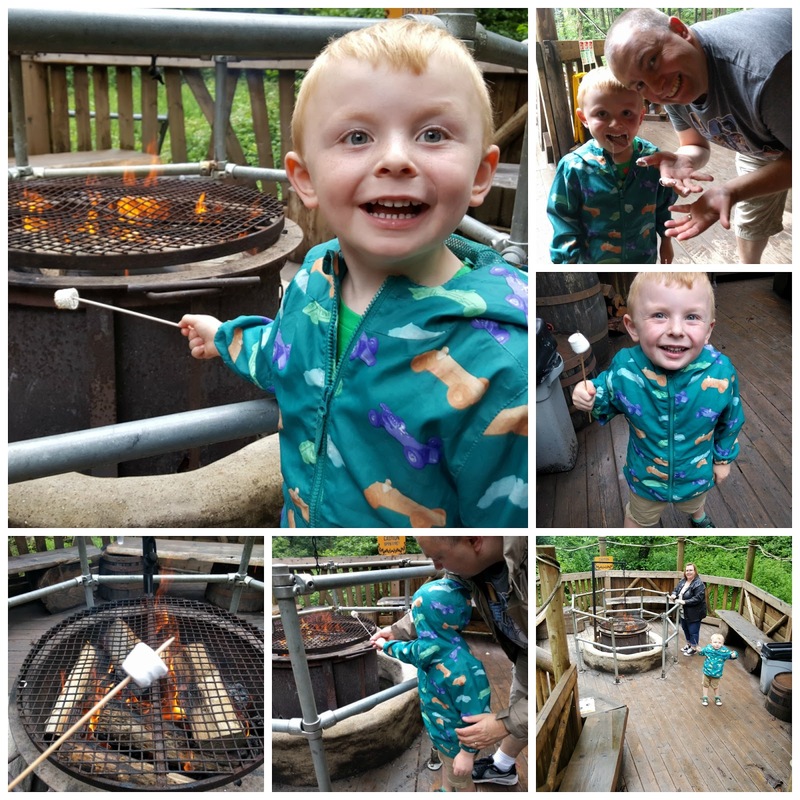 There is so much to do for families and we didn't even touch upon any of the paid activities such as messy play or archery. Hopefully we will get a chance to return next year! I love the look of the wooded lunch place. Like you I've seen other bloggers rave about it so good to hear it lives up to the hype. The woodland trails are right up my street and I can see why you enjoyed being out exploring despite the good british weather. A lovely chance for a little break.